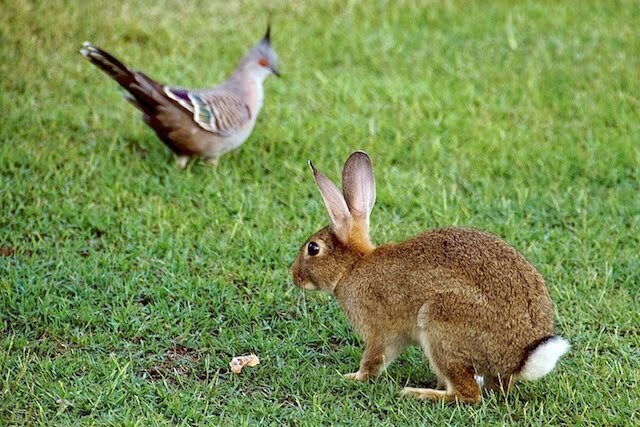 Every day is Easter at Iluka, although believe it or not, this cute little bunny was stalking the dove, and would have eaten it if it had caught it. Perhaps the Easter Bunny steals eggs rather than making them? Plenty of rabbits in the caravan park at Iluka, no great wall there.